Vegetarianism has been practiced in the United States since the country's founding, yet the early years of the movement have been woefully misunderstood and understudied. Through the Civil War, the vegetarian movement focused on social and political reform, but by the late nineteenth century, the movement became a path for personal strength and success in a newly individualistic, consumption-driven economy. This development led to greater expansion and acceptance of vegetarianism in mainstream society. 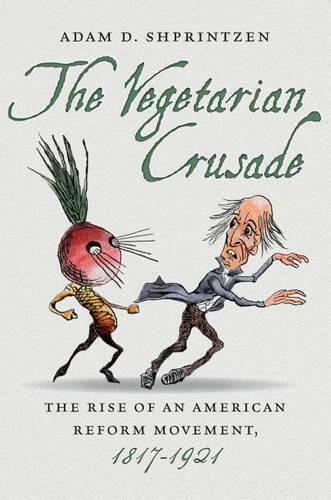 So argues Adam D. Shprintzen in his lively history of early American vegetarianism and social reform. From Bible Christians to Grahamites, the American Vegetarian Society to the Battle Creek Sanitarium, Shprintzen explores the diverse proponents of reform-motivated vegetarianism and explains how each of these groups used diet as a response to changing social and political conditions. By examining the advocates of vegetarianism, including institutions, organizations, activists, and publications, Shprintzen explores how an idea grew into a nationwide community united not only by diet but also by broader goals of social reform.